On the eve of the G-20 summit, where world leaders are gathering in an environment of economic uncertainty, Google CEO Eric Schmidt was in Pittsburgh to talk about what futurist Alvin Toffler described as "that great, growling engine of change -- technology" and its impact on economic growth. History has shown us that cutting-edge technology and the free, open flow of information are key drivers of economic growth. Call it "Gutenberg's Law": there's a clear correlation between the amount of information available to the average citizen and the economic growth and progress of that citizen's country. From the printing press to the telegraph to the Internet, each has enabled more exchange of ideas and sharing of information, resulting in a corresponding boost to economic progress. Today, we are only at the very cusp of the technological revolution that the rise of the Internet will bring. Technology is changing almost everything about how we live, work, and play. Networks are getting ever-faster, data is being generated at an exponential rate, and devices are becoming faster and more powerful, able to store and do more even as they shrink. That means changes in the way we connect and communicate; changes in how we generate, find, and use information; and changes in how we interact with business and government. Technology has driven down barriers to entry in terms of knowledge, scale, cost, and geography, leading to increased competition on a global scale. Today's entrepreneurs can leverage the Internet and technology in a way that only the largest multinational could afford 10 or 15 years ago. Size is no barrier to competition. This trend isn't unique to the West -- it's visible all around the world, especially when it comes to clever business applications for mobile. What does it all mean? The G-20 should look across the globe -- from Pittsburgh to Nairobi -- and recognize how technology and innovation can help us pull this economy up out of the morass, embrace the disruption, and try to build and sustain long-term economic growth. Stay tuned for video of Eric's speech. EDIT (9/24/09): Check out video of the speech below. As we turn the page from summer to fall, it seems appropriate to pause for just one day to celebrate the unique awesomeness of the Web. OneWebDay -- September 22nd -- was first held three years ago to commemorate and support the World Wide Web as a resource that is revolutionizing communications, connecting billions of people across the globe, and empowering users in unprecedented ways. I was fortunate enough back in 2005 to be part of the small group of folks, including Susan Crawford, David Weinberger, and David Isenberg, who first talked about putting together an international day of celebration for the Net. So how exactly does one celebrate OneWebDay? Like the Web itself, OneWebDay is run from the bottom-up, so the choice is entirely yours. You can donate a computer. Learn more about Internet policy issues. Edit a Wikipedia article. Blog, tweet, and submit YouTube videos about why you love the Web (make sure to use the #OWD09 hashtag). Change your facebook or twitter pic. Or, if you're into politics (and especially if you're not), contact the Federal Communications Commission or your congressional representative to propose your favorite project to enable bigger, better broadband access to the Net. Mine currently happens to be enabling fiber to the library. The point is: it's up to you. There are also scheduled meet-ups and events in cities across the country and around the world. Here in Washington, D.C., for example, users are invited to join me and many others to participate in a live discussion on the future of the Internet on Capitol Hill. Yesterday, the Chairman of the Federal Communications Commission outlined his plan to protect open and robust access to the Internet. Whatever your own views on how best to preserve and promote its unique openness and freedom, there's no denying that the World Wide Web has changed our world for the better. It's well worth taking one day a year to celebrate that fact. 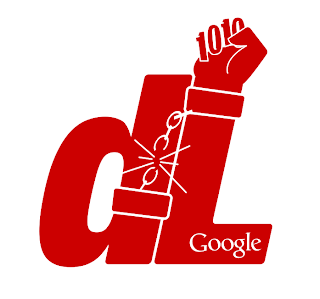 Our next Google D.C. Talk is coming up on October 9, and it should be a fun one. 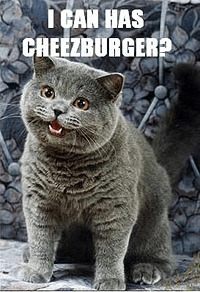 Two years ago, the blog I Can Has Cheezburger introduced Internet surfers to LOLcats — cute kitten photos with misspelled captions — and a user-generated phenomenon was born. Since then, the entrepreneur who owns the site, Ben Huh, has started more than 20 other user-generated sites, including FAIL blog (photos of flops), GraphJam (life's inanities captured in graphs and pie charts), This Is Photobomb (photo interlopers), and Totally Looks Like (funny doppelgangers). Beyond capturing the zeitgeist and making people laugh, Huh has turned these sites into a profitable business attracting more than 10 million visitors a month. But what can policymakers learn from the success of user-submitted content? On October 9, Huh will explain how "making the world happy for 5 minutes a day" is a viable business model; what motivates people to create and remix their own content for others to enjoy; what the rise of LOLcats means for our culture; and how the copyright laws impact the spread of user-generated content. Have a question for Ben? 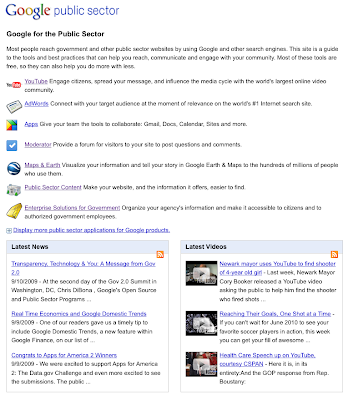 Visit www.googledctalks.com to submit it through Google Moderator. Back in July, the FCC sent letters to Apple, AT&T, and Google asking about the rejection of the Google Voice for iPhone app. When we submitted our letter on August 21, we asked the FCC to redact certain portions that involved sensitive commercial conversations between two companies -- namely, a description of e-mails, telephone conversations, and in-person meetings between executives at Google and Apple. Shortly afterward, several individuals and organizations submitted Freedom of Information Act requests with the FCC seeking access to this information. While we could have asked the FCC to oppose those requests, in light of Apple's decision to make its own letter fully public and in the interest of transparency, we decided to drop our request for confidentiality. Today the FCC posted the full content of our letter to their website (PDF). We continue to work with Apple and others to bring users the best mobile Google experience possible. It's no secret that Google started out as a small business operating out of a Silicon Valley garage. We've consistently supported small business growth because we understand that our success depends on the success of our small business partners. With that in mind, earlier this year we launched the Small Business Network to help small businesses track legislation that might affect their growth. Today, we're pleased to announce that we've redesigned our Small Business Network website to serve as a product toolkit in addition to a policy monitor. Entrepreneurs will be able to learn about products that help them run their businesses more efficiently and exchange ideas and best practices with other entrepreneurs, all while keeping up with legislation pending in federal and state governments that could affect their bottom line. Over the next few months, we'll also be traveling the country, bringing free interactive workshops -- or as we call them, "Small Business 101s" -- to local businesses across America. These workshops are intended to help entrepreneurs become more familiar with online tools proven to help them succeed. Our next event is on September 22, 2009 at our Pittsburgh office. If you're in the area and would like to join us, please sign up here. We're working to come up with products, services and programs that will help small businesses start up, stay up, and grow, because it's obvious that small business is the backbone of the economy. According to the U.S. Small Business Administration, small businesses have generated more then 64 percent of the new jobs created over the last 15 years. Today, small businesses also pay 44 percent of the total payroll in the United States and hire 40 percent of the high-tech workers in this country -- like scientists, engineers and computer programmers. As our country recovers from the recession, it's important to remember that many Americans will continue to face a long and difficult road as they struggle to pay bills or find work over the next several months. Enabling and promoting small business growth is a vital part of the solution. The 2008 elections demonstrated how technology can increase political participation, and now we're beginning to see the power of Web 2.0 come to government. On the heels of last week's Gov 2.0 Summit in Washington, D.C., we're excited to launch Google for the Public Sector, a one-stop shop of tools and tips that local, state and federal government officials can use to help promote transparency and increase citizen participation. Make your website, and the information it offers, easier to find. For example, in less than 50 technical staff hours, Arizona's Government Information Technology Agency made hundreds of thousands of public records and other webpages "crawlable" to search engines and visible in Google search results. Visualize your information and tell your story in Google Earth & Maps to the hundreds of millions of people who use them. The State Department runs an interactive Google Map of Secretary Clinton's travels, which shows where she has been and includes photos and videos. Use the power of online video to engage millions of potential viewers and give constituents a voice. In the U.S. alone, the Senate, House of Representatives, White House, and federal government, among others, all have YouTube channels. According to the Pew Internet and American Life Project, nearly four out of five American Internet users go online to find government information. Technology will help play a key role in making this information accessible, useful and transparent. Everyone benefits from cloud computing, though few stand to benefit more than government. The cloud helps agencies at all levels increase productivity, cut costs, keep pace with technology innovation, and become more open and transparent with their citizens. That's why we were pleased to join other industry leaders today at NASA's Ames Research Center to hear Vivek Kundra, the CIO of the US Federal Government, announce the launch of Apps.gov. Apps.gov is an online storefront that makes it easy for federal agencies to browse and purchase cloud-based IT services from a variety of service providers, including Google. The cloud is coming of age, and we applaud the Obama Administration's efforts to ensure our government realizes its many advantages. FISMA certification for Google Apps. In July, we announced our intent to secure certification for Google Apps to demonstrate compliance with the Federal Information Security Management Act (FISMA), the law defining security requirements that must be met by all US Federal government information systems. Our FISMA process is nearing completion. We will submit a Certification and Accreditation (C&A) package to the U.S. Government before the end of this year. Upon review and approval of the Google Apps C&A package, agencies will be able to deploy Google Apps knowing that it is authorized to operate under FISMA. Dedicated Google cloud for government customers in the US. Today, we're excited to announce our intent to create a government cloud, which we expect to become operational in 2010. Offering the same services and features as our existing commercial cloud (such as Google Apps), this dedicated environment within existing Google facilities in the US will serve the unique needs of US federal, state, and local governments. It is similar to a "Community Cloud" as defined by the National Institute for Science and Technology. The government cloud will allow Google to manage and meet additional government policy requirements beyond FISMA. We look forward to working with governments across the country on these exciting initiatives in the months ahead. I thought I'd share a few more interesting YouTube clips from last week's hearing on "Competition and Commerce in Digital Books." 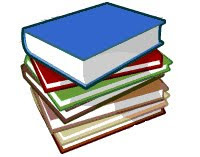 Chairman John Conyers explained that thanks to the Google Books program, "a library will be available in every household with an Internet connection -- this could be the greatest innovation in book publishing since the Gutenberg press." Rep. Zoe Lofgren explained the history of orphan works legislation and argued, "as with all antitrust and copyright issues, there are competitors who sometimes try and seek a business advantage out of a dispute; it's important for us... to separate out that kind of squabbling from the actual legal issues that are before us." Rep. Brad Sherman argued, "I think the only thing that's irresponsible is to tell the people of the world they're not going to have access to all the knowledge in all the books for which authors cannot be found. [...] This knowledge needs to be made available and I hope that we do that as quickly as possible." Rep. Mel Watt argued, "the court can resolve this and in the meantime hopefully [Congress] will do something on orphan works." There have been a few stories written already about this morning's House Judiciary hearing and David Drummond's announcement about opening up the Google Books program to even more competition. We also filmed this behind the scenes video at the hearing. Check out the commentary from Chris Danielsen from the National Federation for the Blind, Judith Platt from the Association of American Publishers, Alan Davidson from Google's public policy team, and Dan Clancy, engineering director for Google Books. Nothing about the settlement changes our firm belief that copying for the purpose of indexing is a fair use that is encouraged by existing copyright law precedents. The settlement is structured to make it easier for anyone – including Google’s competitors – to clear rights and license out-of-print books. Nothing in it makes it any more difficult for others to license these books. The settlement mostly affects only a very small segment of the book world – in-copyright, out-of-print books, which represent less than three percent of the commercial book market. Even though commercial demand may be low, we still believe it’s important to our culture and our literary history for people to be able to find and read these books, and for rightsholders to be able to market and sell them. The settlement is a strong complement to, and not a substitute for, orphan works legislation, which Google supports. An “orphaned” book is an abandoned book. Many out-of-print books, however, are not abandoned, and the registry created by the settlement will resolve legal disputes between authors and publishers over digital rights for older books. You can read David’s written testimony, letters of support written to the court, what people have been saying about the settlement, and the full settlement agreement. We believe strongly in an open and competitive market for digital books. That’s why we worked hard with authors, publishers, and libraries to create a settlement that will provide rightsholders with choice and compensation, lower barriers for other entrants, and complement orphan works legislative efforts. UPDATE (11:25 a.m. ET): I'm at the hearing, and David just made a new announcement as part of our commitment to a competitive market for digital books. He announced that for the out-of-print books (including orphan works) being made available through the Google Books settlement, we will let any book retailer sell access to those books. Google will host the digital books online, and retailers such as Amazon, Barnes & Noble or your local bookstore will be able to sell access to users on any Internet-connected device they choose. Retailers can also pursue their own digitization efforts of out-of-print books in parallel. In essence, this extends our initiative announced earlier this summer -- which allows publishers in our Partner Program to market their in-print works through Google Books -- to out-of-print books included in the settlement. UPDATE (9/11/09): Check out the video of David's testimony below. We're excited about the wide range of support that the Google Books settlement has received. Some people have asked how Google's privacy practices apply to Books and the settlement, and, last month, we published an extensive FAQ. We take our privacy commitments to our users very seriously. It's important to note that like all of our privacy policies, this one is legally enforceable by the FTC, which has helped us clarify our practices and policies through comments and questions. Ten years ago, Google started out as a small business in Palo Alto with just 8 employees. Today, Google products and services help connect millions of people around the world with information everyday - and that includes businesses and customers! Whether you're a local plumber trying to reach a new customer down the block or a niche antique dealer connecting with a collector overseas, we serve as a platform to help find new customers that you might otherwise not reach. In 2008 alone, Google distributed $5.28 billion to our partners, including thousands of small businesses who are staying afloat in this difficult economic climate. Much of our success hinges on the success of our small business customers and partners, and we're committed to helping entrepreneurs grow online. That's why we'll be participating in the NFIB's (National Federation of Independent Business) Virtual Summit on September 15. There's no cost to attend, and you won't even need to leave your desk to meet and network with fellow small business owners and industry experts. Just click this link and enter code gbb366 to register. Find out more about how Google can help your small business thrive on the web - affordably and efficiently. We hope to see you at the Summit!